Sinsun-Tech Corporation Ltd recently brokered the first sale of an Additive Industries MetalFAB1 3D printing system to a Chinese customer. Additive Industries, a Dutch company that specializes in industrial metal 3D printing, won the bid to work with the Maritime Equipment Technology Institute of Jiangsu University of Science & Technology to research and develop heat exchangers for liquified natural gas (LNG) systems. 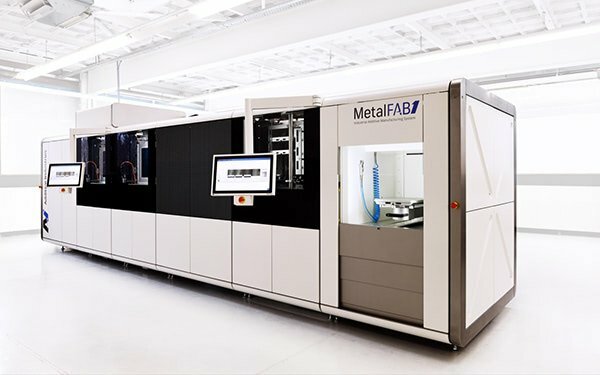 The MetalFAB1 uses a Metal Laser Beam Powder Bed Fusion (LB-PBF) process and can be equipped with one to four 500W Yb fibre lasers. It’s customizable, expandable, and fully automated, able to complete a maximum of eight consecutive automated build jobs without intervention. Each module has a build volume of approximately 16x16x16 inches and up to 11 modules can be connected to one controller. Modules can work together on a large part or separately on parts made of different materials, and their quality control system is from SigmaLabs. This a 3D printer designed from bottom to top for industrial applications. Sinsun-Tech is a recently formed company made up of Beijing professionals with decades of experience in the aerospace, automobile, and industrial gas turbine industries. They’re working with US and European companies to advance various technologies, including 3D printing, welding, and thermal sprays.